As a fourth year student studying Hospitality, Food & Tourism Management, learning the trends and how to cope with this fast-paced world is a daily lesson. I was lucky enough to know by the age of 15 that the food service industry was exactly where I wanted to take my career. Since then, I have worked in all different outlets of food and beverage – little did I know it would take me to Guelph. Joining the UGSRP team this year has opened up my eyes to a whole new world of food service. As many understand, while working multiple positions in restaurants, it is sometimes hard to focus on anything other than getting the job done well. This course has opened up those doors that I now cannot ignore. Events like the Annual Sustainability Talk have introduced topics of food wastage, damaging fishing practises, corporate social responsibility and more, directly to our students. Although it may seem like the task of creating a sustainable environment is a large one, the correct knowledge of the topic can create a movement. Think of the words local, sustainable, fresh, organic, healthy – they are all buzz words to support the trend of locally conscious food service. We have seen multiple big names take on these words and initiatives to drive competitive advantage and jump on board the sustainable train. Whether it be McDonalds’ new goal to purchase only verified sustainable beef by 2016, Chipotle’s sustainable “Food with Integrity” or independent establishments choosing the 100 mile diet, they are all working towards the same goal of exposing the realities and the need for modern day sustainable food service. Let’s take a look at some of the restaurants putting their passion of the topic before the competition. With a bold mission and a long list of principles, Vinland strives to be the first to serve 100% local + organic food in the United States. 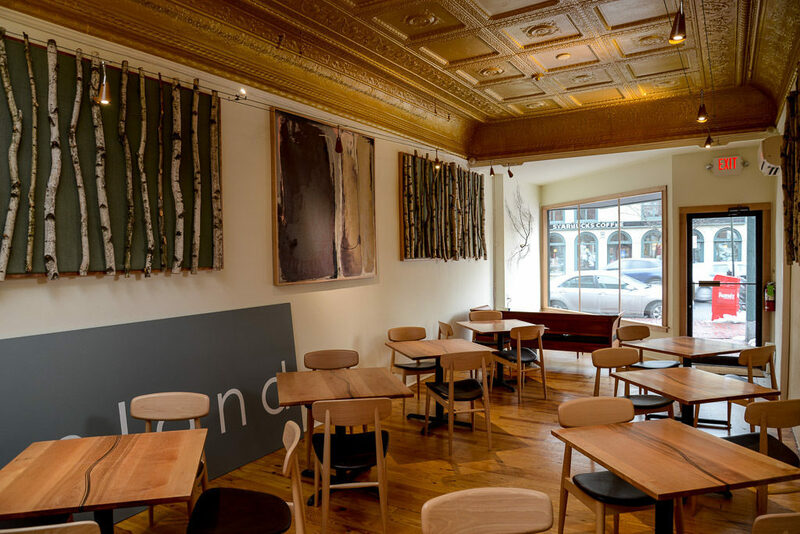 This restaurant serves up only it’s local offerings, meaning Vinland uses ingredients exclusively found in Maine. If you’re thinking about how this is possible, Bangor Daily News reports that the menu excludes items such as olive oil, lemons, sugar or black pepper. Salt, an crucial seasoning in restaurants, is now harvested in Maine, making it viable for the Vinland menu. 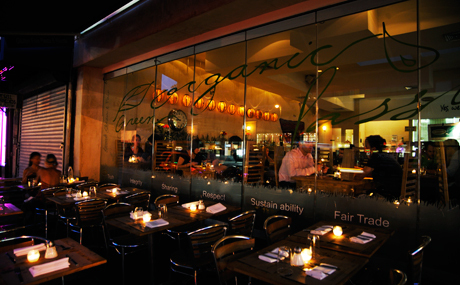 As a restaurant focused on it’s organic menu structure, the emphasis is put heavily on the education of sustainability and bringing organics to the mainstream. 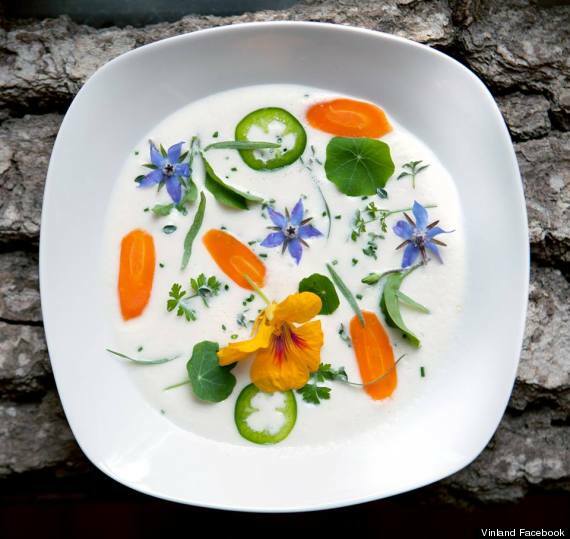 With the goal to start “changing the world one meal at a time,” Gustorganics is off to a good start as they are the only 100% certified organic restaurant in New York and established as one of the greenest restaurants in the world. Gustorganics has a trusted organic menu that serves breakfast, brunch, lunch and dinner. They have also taken a lead by being the first and only 100% USDA certified organic catering and delivery service. Their services stem from special events, to meal drop offs, to weddings. This is another step that Gustorganics is taking to revolutionize the way we see our food and sustain the environment. As a fairly new establishment, open since 2012, Just Sushi has made it’s mark as the world’s first ever 100% sustainable Ocean Wise sushi restaurant. The Vancouver Aquarium’s Ocean Wise program states that overfishing is the biggest threat to our oceans today. They take the necessary steps and build guidelines to avoid these issues to uphold the integrity of our ecosystems for the future. Just Sushi has adapted each of these practises that Ocean Wise abides by to design the world’s most sustainable seafood menu. 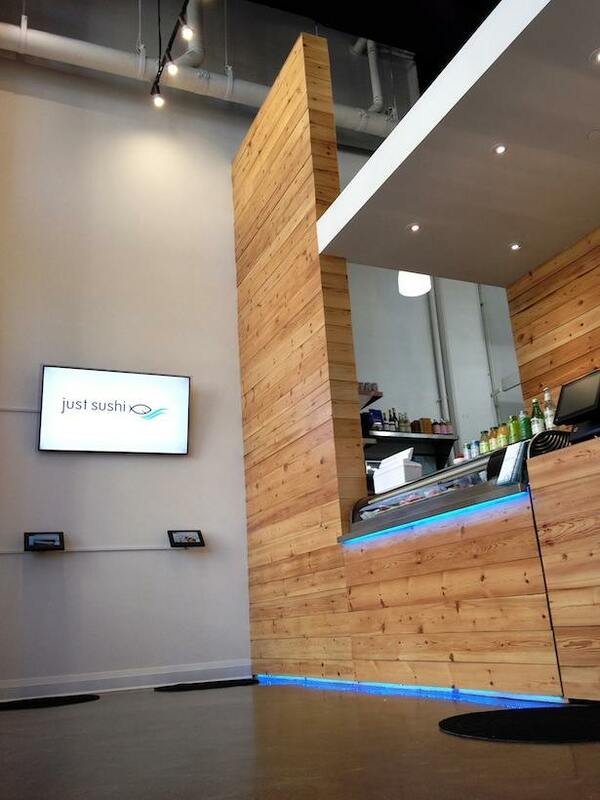 Just Sushi has also extended their sustainable practises to their building design, compostable take-out packaging and their delivery scooters that they use for their take-out menu in Toronto. Another large ‘wow’ factor (as they call it) is the 250 square foot living wall that is used as a vertical, self-sustaining garden and a natural air purifier. These restaurants are just a snapshot of what we have yet to see in all of the different outlets sustainable food service. With an increasing amount of certifications, programs, summits, an awareness created in the past decade, we can expect more restaurants to recognize and take on the responsibility of a sustainable operation. Posted on February 22, 2014 February 22, 2014 by stephcwalkerPosted in The Project TeamTagged food and beverage, food service industry, Local, sustainable food service. Previous Previous post: Does Raising Minimum Wage Actually Lower Some Wages?